When we lived in Istanbul, I loved taking our visitors from the European side to the Anatolian part of the city. Not only could our friends enjoy a vapur ride on the Bosphorus, but they also could say they had been to “Asia.” I would even time our visit so we could eat at one of my favorite and one-of-a-kind places in the city – Çiya located in the Kadıköy neighborhood. 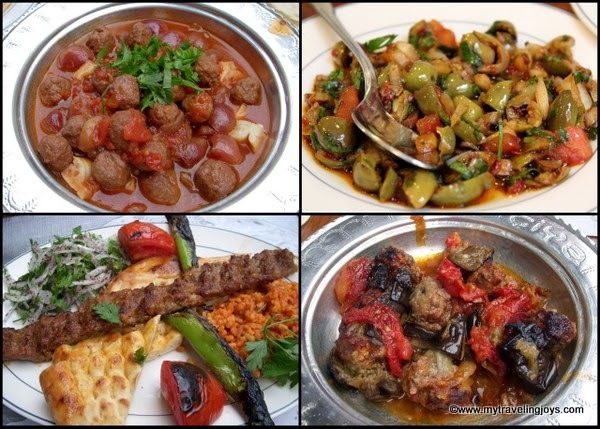 In the last few years, Çiya has earned the recognition as one of the city’s foodie hotspots, as mentioned by IstanbulEats, DeliciousIstanbul and Parla Food. Çiya's owner/chef, Musa Dağdeviren, from Gaziantep in southern Turkey, has travelled all over Turkey as well as the Balkans and neighboring countries collecting his recipes. The result is some of the most distinctive dishes you’ll find in Istanbul such as candied vegetables, meats cooked with seasonal fruits and wild herbs and greens. Dağdeviren’s menu is always changing at his three locations located on the same pedestrian-only street in Kadıköy. On my initial visit to Çiya with Selin of Turkish Flavours in 2011, Dağdeviren was making Turkish pide and kindly hung out with our group for a bit. Of course, I had to ask if I could get my photo taken with the chef, and he obliged. 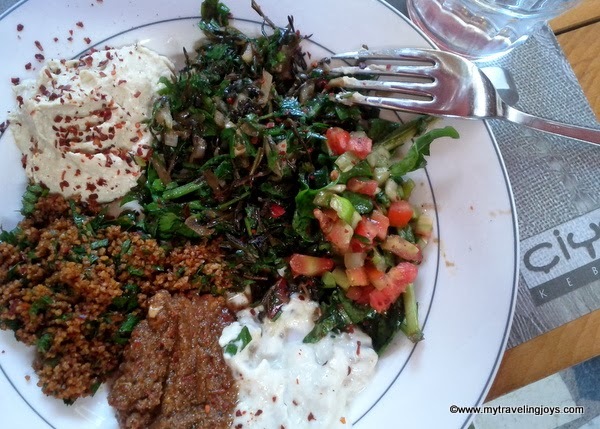 As soon as you walk into Çiya, you’ll notice its fantastic salad bar that’s always filled with unique wild herbs and greens, hummus and other seasonal nibbles. This is where I start. Grab a plate, select your favorite dishes and then be sure to get your plate weighed by the helpful staff. You could make a meal just out of this salad bar! 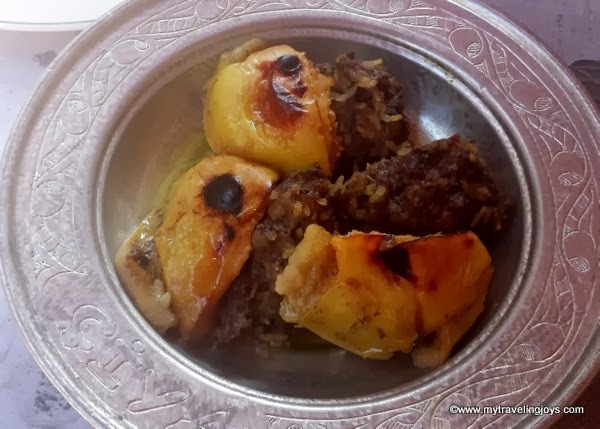 The main dishes always change, depending on the season, but you’ll usually find a few soups as well as several meat-based dishes such as kuzu etli ayva dolması (lamb cooked with quince), celeriac stuffed with rice and ground beef, vişneli köfte (meatballs cooked in a tangy sour cherry sauce) or a tasty meat stew with baby okra. I find it difficult not to order one of everything especially if it’s a dish I haven’t tried before. These dishes aren't fancy, just honest, homecooked food, and the flavors are outstanding. One of my favorite dishes when it's in season - kuzu etli ayva dolması. Conclude your delightful meal with a refreshing şerbet, a sweet, fruit-based beverage popular during the Ottoman era. For dessert, I always have a hard time deciding between künefe or katmer, both desserts hail from southeast Turkey. However, if you would like a unique dessert, order Çiya’s plate of candied fruits and vegetables. Who knew candied olives could be so tasty? During my next visit to Istanbul this spring, I might have to include a stop at Çiya as well! 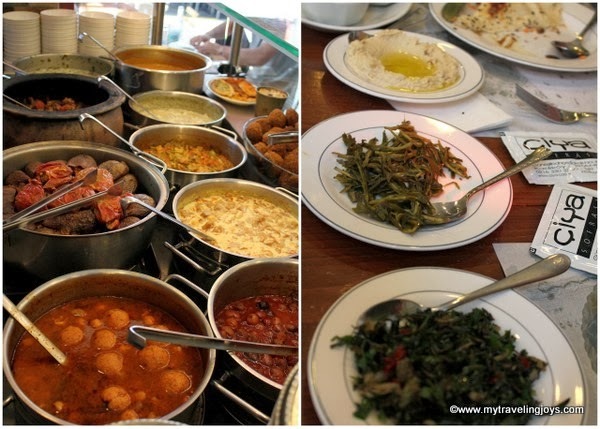 Ciya was always our go to restaurant on the Asian side of Istanbul - and always a hit! I love the kofta with soured cherries too, that's the only place I ever found it in Istanbul! I'm jealous you've been able to make it back so often, work has made it difficult for me to visit friends, but hoping it's in the cards in 2014! @Alyson, Well, I hope you'll be able to get back this year too! If it makes you feel any better, our March trip to Istanbul will be hubby's first time back since we moved. He has to do all the work, unfortunately! And yes, Ciya's kofte is always a winner! that is my kind of place! it sure was cold here last week! This sounds very unusual. Fruit and meat are not traditionally cooked together in this part of Turkey. Funnily enough, I was there just yesterday with some of our book club group. The food is consistently good and if you choose the traditional dishes, it's amazing! Out of the 3 restaurants, I think I can now say I prefer the one at the end on the right which offers both traditional and also kebabs. That way there is something for everybody. Also there is more space than in the original traditional only. @Claudia, I totally agree with you. The location on the end is my fav too bc there's more space and I like to watch the action by the firin too! 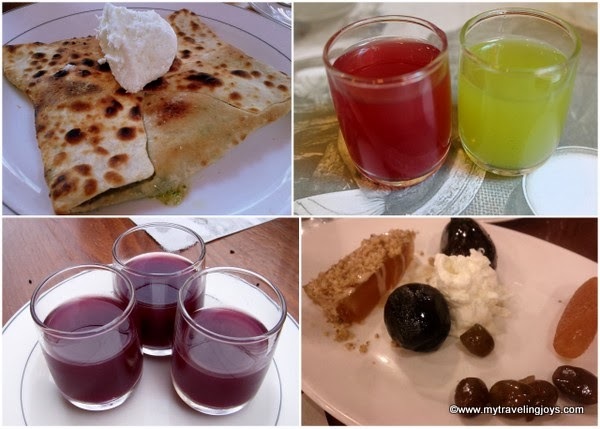 Back from Istanbul a week ago with 6 ayva's in my suitcase, looking for a recipe to improvise and hopefully achieve a dish similar to the ayva dolmasi I had in Ciya, I came across your article. Though it made me homesick already, I enjoyed reading such a thorough article about Ciya- my favorite restaurant in Istanbul. Hope the recipes brings back some fond memories for you! Afiyet olsun!